Planning a trip to the most gorgeous wine country in the world? BC's Okanagan & Similkameen Valleys! I know, that's a bit cheeky to say, but after travelling to wineries around the world I can truthfully say that this is a gorgeous, spectacular area that you're going to love. 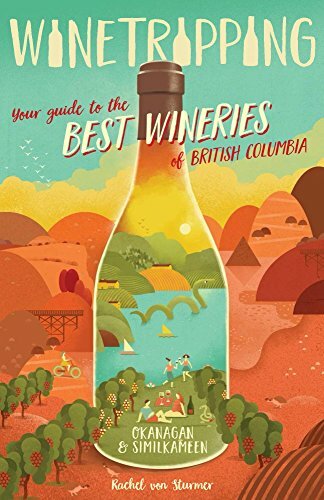 Featuring a curated list of the best places to visit on your Okanagan Valley winetasting tour, the perfect itinerary for each sub-region from Osoyoos to Lake Country, the most delicious spots for a roadside snack or white tablecloth dinner, and where to find your favourite grape. Plus: I'll tell you about the most coveted bottles to seek out, and some of my fave lesser known wineries, the tasting rooms where it's all about having fun, and hidden gem wineries that don't advertise. You can buy the book on Amazon now! Available in paperback and Kindle / ebook. To find out more about Winetripping, you can also visit the book website here.